This post invites you to help us shape the agenda for Digital Book World 2015. It was five years ago this summer that David Nussbaum and Sara Domville of F+W Media took me out to lunch and said they thought the book business could have a more useful digital conference — one, in their words, that would give you things you could go back to the office and use — than the existing set of conclaves, led by Tools of Change, then provided. And they flattered me and provoked my imagination by saying “we think you’re the guy to program it”. At the time, I was in a partnership with O’Reilly Media, the owners of Tools of Change, working on an initiative called “StartWithXML”. We had a conference in London coming up as part of our team effort that was only a few weeks away. I wasn’t looking for a way to compete with them. But, when I thought about it, I realized that by changing the focus of our conference from “technology and publishing” (which was theirs) to “the business challenges created by technology for trade publishers”, we would be able to do something quite different than they had. Agents would be included, and, this being long before the agents were hiring people with digital publishing expertise to help their authors, they weren’t invited to be part of Tools of Change. I knew their voices were important when you talked about how the business of publishing would be affected by digital. And real challenges around resource deployment and marketing, which weren’t strictly-speaking about technology but which were top of mind for trade publishers, would make our agenda when we framed it this way as well. They named the new conference Digital Book World. This recommendation really just followed my own advice. I had been observing that book publishers needed to become more “vertical”, by which I meant “audience-specific”, in their thinking. Tools of Change was horizontal; it was about all publishing and technology. We’d focus Digital Book World on a particular segment of publishers and therefore be able to make it more meaningful for them. Now we are planning our sixth Digital Book World conference for January, 2015. A lot has changed. Tools of Change shut down in 2013. Perhaps partially aided by the disappearance of its biggest competitor, Digital Book World has continued to grow, with more than 25 percent growth in 2014 over the year before. But a big part of the distinction that guided us as we built DBW, the emphasis on trade publishing, is eroding in importance as the trade itself — which means the bookstores and libraries and the wholesalers that serve them — become less robust paths to the consumer. The challenges for an industry beginning to move from physical goods in stores to virtual goods online are different as the new paradigm becomes the dominant paradigm. Except for self-published genre fiction (and perhaps even for publisher-issued genre fiction too), that paradigm shift hasn’t really happened yet, but the day when it will is in sight. At some future Digital Book World — not 2015, but maybe 2016 and almost certainly before 2020 — we will be looking at a “trade” book industry which does most of its business online, not through brick-and-mortar stores. All of this not only means that what we have called trade publishers may be renamed, they will also find themselves with new channels to consumers and a new set of competitors. The prospective new landscape will get a great deal of attention from us next January and we are beginning to interact with players that wouldn’t really have belonged at DBW in 2010 or 2011 but who might be smack in the middle of our business by 2017 or 2018.
Who are they? They are educational publishers, both K-12 and college. They are newspapers, magazines, and advertising agencies. And they are digital-first publishers, coming out of web sites and other content creators and brands, who see the opportunity to reach audiences efficiently through a book business that no longer requires a big investment in printed inventory and an organization reaching thousands of small sales outlets for meaningful participation. And they are start-ups and technology companies too. We are going to start this year by looking for the Venn diagram “overlap” between these new audiences and the trade publishing audience we’ve served for half a decade. For newspapers, magazines, and advertising agencies, that means we’ll be looking for the players who have already found opportunity in the book publishing ecosystem. 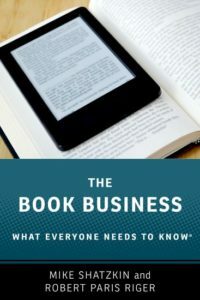 Although for all of them ebooks are really a highly complementary opportunity, it looks like newspapers have made that discovery more rapidly than the others. Newspapers and magazines, particularly, have content and consumer-facing brands that create a natural fit for ebook creation and marketing. For advertising, the stretch is a little greater and, frankly, we’ll be looking for pioneers that see the opportunity to promote their clients’ wares using ebook discovery and word-of-mouth as tools. It is inevitable that they will but finding the early visionaries will be the first challenge. There is a new component of the advertising business called “content marketing” which also, ultimately, seems like a fit for the ebook business. What it means today is that a digital ad agency creates content which promotes a client or product; content which is meant to be found online and delivered for free. My niece, Kailey Moran, writes a blog about cars for women for a marketing company called Reynolds and Reynolds. It seems to me like a short step for her to put together an ebook for the same audience on the same subject. Her company isn’t doing that yet. I’m betting that within the next couple of years, they will. There will also be new interactions occurring between college textbook and school publishers and their counterparts in trade. The educational publishers are moving from being primarily creators and distributors of “textbooks” to becoming creators and managers of “learning platforms”. These not only attempt to contain the syllabus and pedagogy that was in the textbooks, they also provide teachers with monitoring and assessment capabilities. And they will also be the environment in which the required and supplementary reading — often of trade-published books — will take place. That will increasingly put the educational publishers in the role of aggregators for their institutional customers. This is likely to be a difficult and contentious area for the next several years because trade publishers will have to be satisfied with a new business model. They have historically sold printed books either to institutions (the normal way things happen with public schools) or to the student end-users (the normal way things happen in private schools and colleges). In the latter case, they often are able to make a sale for every user. Doing so is an artifact of the physical world and will get increasingly difficult to do, but trade publishers are understandably reluctant to move quickly to models that pay them less for each use, even if they already sell one printed book for multiple users (over time, because the books don’t wear out) in school situations now. So the school and college publishers and trade publishers are going to have to talk and I think interaction at Digital Book World could jump-start some conversations. We are guided in our programming at DBW by our Conference Council, a group of leading industry thinkers — some independent but most of them executives within the industry — who meet with us to discuss the program and then provide suggestions on an ongoing basis for speakers and topics. To prepare for the meeting we schedule to discuss the agenda, we offer our Council the opportunity to offer their opinions about each of the sub-topics we’ve identified under the major headings. (It’s a 2-hour meeting with 30 people or so; we can’t discuss everything and I need the guidance to put things in priority order for time allocation.) 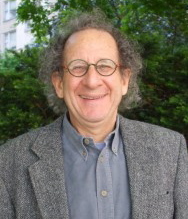 This year, for the first time, we are seeking that same input from readers of The Shatzkin Files. If you want to help us decide what are the most important sub-topics under these headings, you can see how we break them down and register your opinion about them on our survey monkey poll. When our Conference Council meets, we will make them aware of the results of this voting, as well as the separate tally we’re keeping of the vote by the Conference Council itself. And an extra robust thank-you for anybody who can suggest a sub-topic that should have made the list and didn’t. We don’t really understand the ways of Feedburner, our current (but soon to be past) distributor of the email version of this blog, but it didn’t distribute my last post about when an author should self-publish. So if you’re getting this one by email and didn’t get the last one, we’re trying to make it easy for you to read it now by clicking this link. We will soon be moving over to Mail Chimp so these problems will be in the rear view mirror.